Increasingly recognized as a brand of note, both in the UK and Rest of the world, Unzè is high fashion wear based on own label ladies' footwear and matching accessories such as belts and bags. In addition to ladies evening wear, fashion, bridal and casual wear; there is also a range of children's and Men shoes. 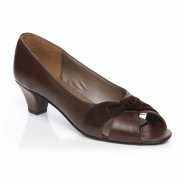 The Unze shoes range The styles are elegant, feminine, glamorous and very sophisticated; they perform from daywear to evening wear. Using the finest quality materials and intricate handiwork, the shoes and accessories are captured in vibrant colors combined with the most luxurious fabrics, leathers, beads, metals, rhinestones and suede combinations to create an inspired range.